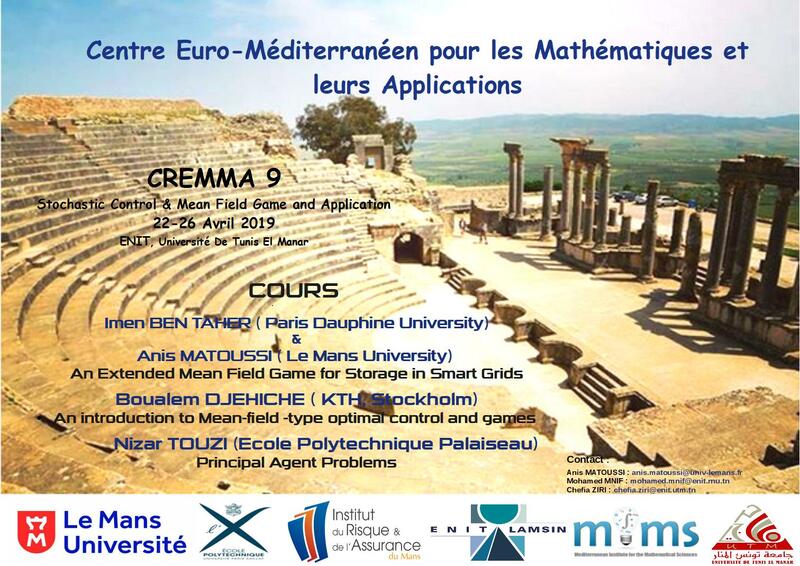 The National Engineering School of the Tunis El Manar University, in collaboration with Le Mans University, École Polytechnique and The Mediterranean Institute for the Mathematical Sciences (MIMS, https://www.mims-institut.org/), organizes the ninth spring school devoted Stochastic Control & Mean Field Games and applications to finance and storage in smart grid for renewal energies. This scientific event has been organized since 2007 within the Euro-Mediterranean Center for Mathematics and Applications (CREMMA). 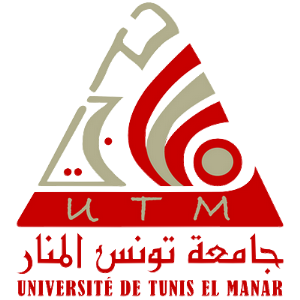 The academic partners and co-organizers of the school are the Tunis El Manar University (ENIT-LAMSIN and FST, Faculty of Sciences of Tunis), Ecole Polytechnique (CMAP), Le Mans University (Institute of Risk and Assurance and Laboratoire Manceau de Mathématiques) and MIMS (Mediterranean Institute for the Mathematical Sciences). This reunion will bring together internationally renowned speakers that will significantly raise the level of discussions (see the attached poster). In order to encourage these meetings and knowing your interest in the development of researches and their impact on the economic sector, we ask you for financial support. Your contributions will allow us to provide the best reception for our guest speakers and ensure the smooth running of this event.